The overall length is 6-5/8?. The blade is a 2-1/2? long, 1? wide, and 1/8? thick. 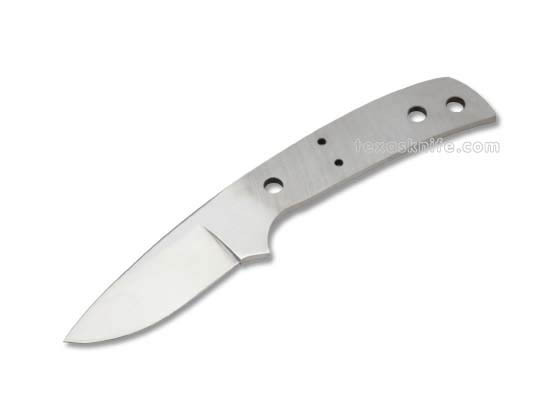 This 440C stainless steel, hollow ground, mirror polished blade comes with two 1/4? diameter holes for rivets, pins or bolts and a thong hole that is 1/4? in dia. Also has two 3/32? diameter holes for pins in the middle. This blade has been?CRYOGENICALLY TREATED?to retain edge holding properties. A good pick for a small skinner.